“The train came out of the long tunnel into the snow country.” This is the opening line of one of Japan’s most famous literary works, Snow Country, by Yasunari Kawabata and the snow country of which he writes is the Yuzawa area of Niigata Prefecture, three hours from Tokyo. The long tunnel in Snow Country is the link between the two different Japans that were emerging in the 1930s – the rapidly modernising urban world of Tokyo and the traditional, hard-working world of rural Japan in winter. Things have changed since the 1930s. While the rail line and tunnel under the mountains still link modern urban Tokyo with the rural valley of Yuzawa, famous for its rice and onsens (hot springs), the two worlds are now a lot closer. Especially in winter when the Shinkansen (Bullet train) takes only 77 minutes to deliver thousands of skiers and snowboarders from Tokyo to Echigo-Yuzawa station. From there it is an easy access by shuttle to any of the many resorts in the valley. Yuzawa is a place of contrast. There are large multistorey hotels in town and at the base of some of the bigger resorts, while the smaller villages like Mitsumata offer a variety of Ryokans, traditional inns that give you an authentic taste of Japan. The Yuzawa resorts are situated in the middle of the Japanese Alps, surrounded by dramatic mountains and enticing backcountry terrain. 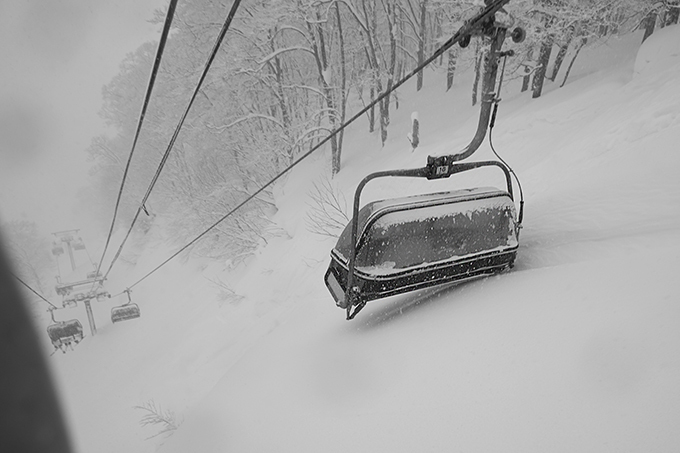 However, like most Japanese resorts, the lift-accessed terrain is pretty mellow. While there is plenty of steeper terrain within the resort boundaries, it’s usually roped off and out of bounds. We spent a weekend at the Naeba Ski Resort, the biggest on Japan’s main island and, not surprising from what we saw, the most popular. With the 2,000-bed Prince Hotel at its base, Naeba was very busy when we were there. But the crowd dispersed easily with two gondolas and two high-speed quads out of the base area. The Prince Hotel is huge, like a town in itself, with 23 restaurants plus bars, karaoke (of course), onsen, day spa, a massive rental store, childcare – you name it, it has it. The lifts are a 10-metre walk from the door, making it the ultimate in convenience. The clientele on the mountain was made up of families and groups of 20-something snowboarders. The ski/snowboarding split was 50/50, but I’d estimate 80 per cent of the under 30 crowd were snowboarders and they were kitted up in the latest gear and were riding the latest boards. This is a city crowd but interestingly I didn’t see a pair of twin-tips or mid-fat, all-mountain skis on the hill. The extensive terrain park was also snowboarders only – not a freeskier to be seen. From a skiing perspective, Naeba seems to be traditional turf with on-piste skiers on on-piste skis, and a few racecourses and mogul runs dotted around the mountain. Everyone stays on the groomed runs, which meant that there was a lot of untracked snow off-piste, but it and most of the fun terrain were roped off. My associate on this trip was work colleague and former pro snowboarder Nick Gregory, who is not one for waiting around or leaving untracked powder to go to waste. Fortunately it was easy to duck around, or under, the ropes and even though it was two or three days since the last snowfall, we found some good deep snow at the top of the Takenokoyama lift. That lift accesses Naeba’s peak which, at 1,789 metres, is high for Japan and ensures the upper mountain holds plenty of good snow. Naeba is a glitzy, purpose-built ski resort, very different to the more traditional areas you can find elsewhere in the Niigata prefecture. However it’s easy to escape the crowd by heading to the neighbouring resort, Kagura, which you can access from Naeba via a long gondola known as the Dragondola. 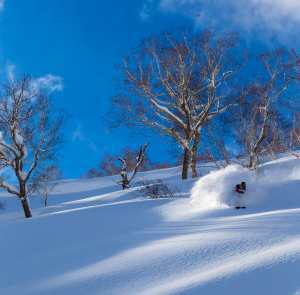 Kagura is the prime Yuzawa resort for powder, with great tree skiing, good vertical and, like all the Yuzawa resorts, a huge annual snowfall. The ski patrol has a relaxed attitude to heading off-piste and the gladed tree skiing is spectacular on a powder day. Yuzawa isn’t on the powder itinerary for Australians yet, so when it’s on there’s plenty of untracked powder for most of the day. It’s easy on a ski trip to just focus on the resort but when road tripping between resorts on Japan’s main island, you’d be mad not to try and take in a few other things as well. Yuzawa is renowned in Japan for its rice, sake and onsens, as well as the snow, and attracts visitors from the cities all year round. There is plenty on offer beyond skiing and snowboarding and ample opportunity to experience Japanese culture. 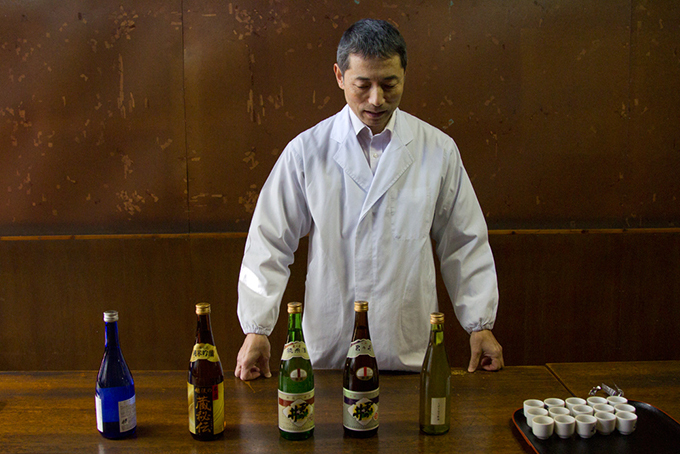 For us this involved not just amazing food, but also making our own Soba noodles and a sake-tasting session at one of Japan’s premier sake breweries. After checking out of the Prince Hotel, we moved into Yuzawa town and stayed at the Futaba Hotel, a luxurious establishment that maintains a traditional Japanese flavour and with a level of service that I hadn’t experienced before. Nick and I were in a luxurious suite with an indoor/outdoor bath, floor to ceiling windows overlooking a snowy forest, and an amazing outdoor onsen. It was just a short walk to the town centre which had an incredible array of restaurants and small bars to while away an evening. The hotel is also very close to the Gala Yuzawa, another busy resort that is even easier to access from Tokyo as it has its own station serviced by the Shinkansen. It is possible to get to Gala from Tokyo in just over an hour and many people use it for day trips, riding the train in their ski gear, carrying g boots and skis or boards. It’s so simple – just get off the train, head upstairs, buy a ticket for $40 and walk to the Gondola and go skiing. Too easy, and not surprisingly more than 5,000 people use the train on weekends. 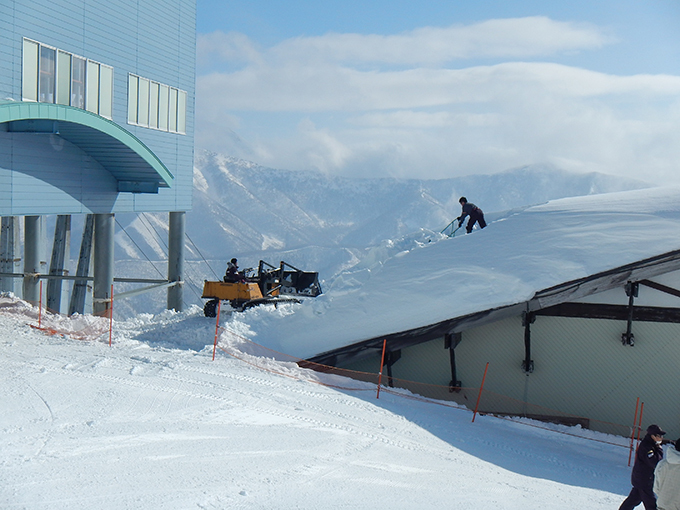 The other end of the skiing experience in Niigata can be found in the Myoko area, which is two hours from Yuzawa. 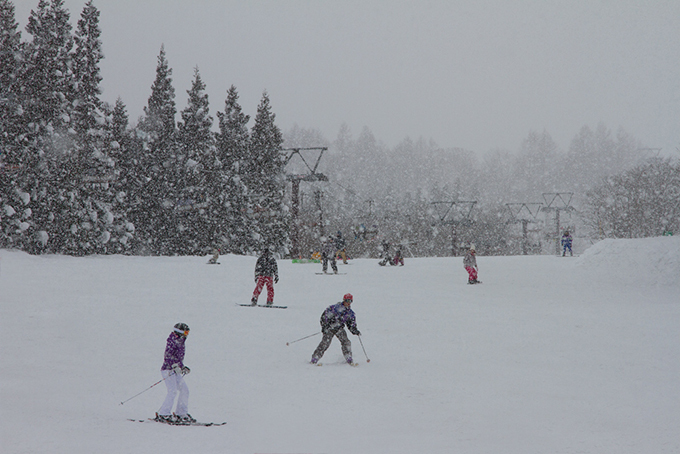 The resorts in the Myoko area are less glitzy than Naeba or Gala but are attracting more Australians every year. 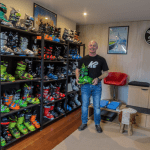 Most of these are trying to escape the crowds of Niseko and Hakuba, but it’s probably only a matter of time until the area is permanently on the “Japow highway” for Australian skiers. 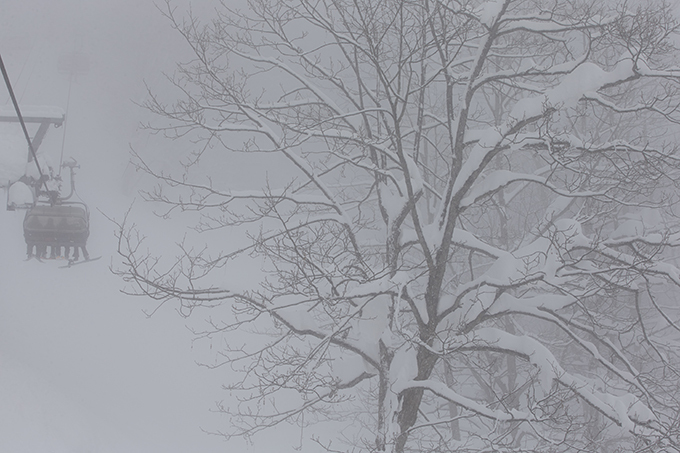 With an annual average snowfall of over 10 metres, the Myoko region is one of the snowiest in Japan. That amount of snow makes things tough for the locals, but their resilience in winter is amazing and dealing with the huge amounts of snow is just part of their daily lives. 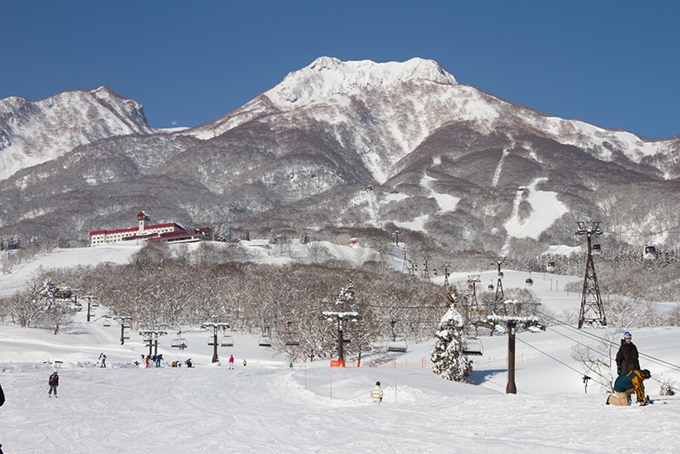 Of course, all that snow makes Myoko Kogen a skier’s paradise and the area is well served with plenty of variety. There are five main resorts – Akakura Onsen, Akakura Kanko, Myoko Suginohara, Ikenotaira Onsen and Seki – with Suginohara and Akakura Kanko the picks. There’s plenty of accommodation to choose from with western style hotels, Japanese hotels and smaller Ryokans. We spent the first days staying at the Akakura Central Hotel, which had quite a few Australian guests. It is perfectly located with easy access to Akakura Kanko and a few minutes’ walk from the restaurants, bars and shops of the town centre. We also stayed a night at the Sakura Hotel which is a Japanese-style hotel located in the middle of town, but still a short walk to the lifts. If you do stay there, make sure you try the traditional Kaisek dinner at the in-house restaurant. Amazing! We arrived a day or two after a snowfall and, while most of the tree-runs were well and truly tracked out, Nick and I found a ridgeline off the top lift that dropped into a gully and was still untracked. Admittedly it was out of bounds, but the quality of the snow was too much of an attraction and we hooked into it for a few hours on the first two days. We ended up getting a couple of 20cm falls two nights in a row, the boot-deep fresh giving us a taste of what the Myoko area would be like on a “proper” powder day. That day came on our fourth day when a storm moved in late afternoon. 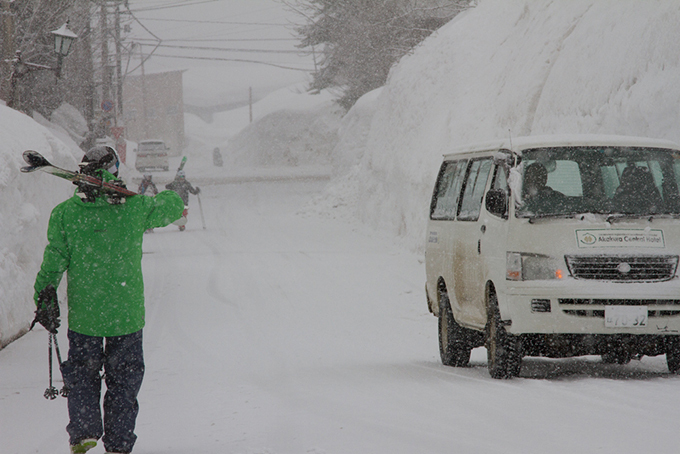 We were doing a tour of the largely intermediate resort of Akakura Onsen when it started dumping. 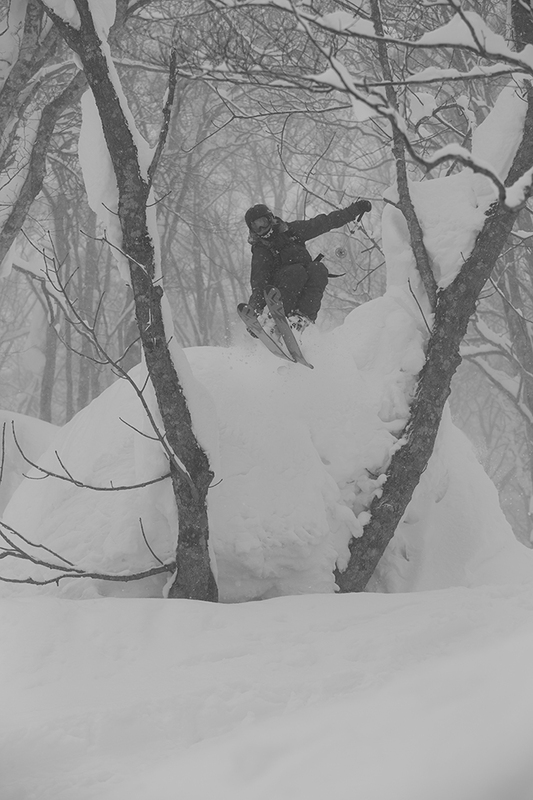 The snow came down hard all night, with 50cm on the ground, and we headed up to the top of Kanko at first lifts and went straight into the trees. The snow was deep, knee to waist on the steeper pitches, not super light, but light enough to leave plumes of dry snow in the air after each turn. Nick led the way, but he was in no mood for waiting as he was drawn into the first deep powder he had ridden in a long time and I lost him after 50 metres. 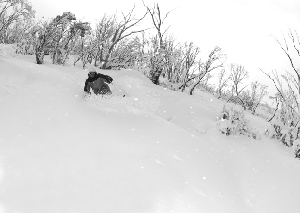 There were plenty of lines in there, full of deep, light powder, although the growing contingent of Australians meant you had to go wider each time as the trees became tracked out. I headed back to our “secret gully” and lapped it six or seven times by myself. The runs were short, but there were plenty of different lines in there. It was also a quick lap on the chair, and with no one else in there each run was fresh powder. That afternoon we drove over to Suginohara, which took about 20 minutes, and there is a regular shuttle from Akakura daily. Suginohara’s peak is at 1,850 metres, so we thought the snow up high would still be OK even though we expected all the obvious lines to be skied out. 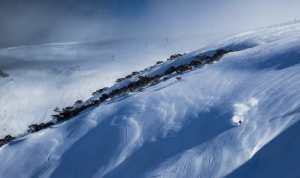 The mountain also has the longest vertical in the area at 1,124 metres, with some long, wide on-piste runs – the longest at eight kilometres. The on-piste terrain is mainly intermediate but the views from the top are spectacular, taking in the full mountain range down to the lake in the valley. There is some fun terrain off-piste but, as expected by the time we got there, it was skied out. However luck was on our side when we stumbled into some amazing powder just before the upper lift closed. Nick had decided to check out the trees to the left of one of the groomed runs as there were no tracks heading in there. 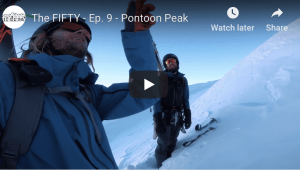 Once again we were on top of a ridgeline that dropped into what looked like at least 50 metres of powder, although the pitch was steep enough so we couldn’t see the bottom. The big question was why it hadn’t been skied and we were wondering if we’d end up in a creek bed or flat gully with a nightmare traverse out. “It looks pretty amazing,” Nick said. “This is could be the best run of the trip … or it could lead us into a nightmare.” Then he grinned and just dropped in over the edge. No stopping now I thought and three turns in, with the dry snow pillowing over my shoulders, I knew this was going to be the run of the trip. It was deep with plenty of fun rollovers dropping into steeper terrain as we headed towards a valley at the bottom. Then we spotted a traverse track out, about half a metre wide, left by someone who’d dropped in a little higher than us. No nightmare this time and it was an easy ski out back on to the groomed. We missed loading the lift again by a minute and as we were leaving Myoko the next morning, it turned out the best run of our week in Japan was also the last. It was a nice way to wrap things up.